After reviewing yesterday's transcripts from the Supreme Court hearing on the individual mandate I am still leaning towards the likelihood that they will ultimately find the mandate unconstitutional. However, after the Wednesday morning, March 28, 2012 hearing on severability I still find it very unlikely that they will strike down the entire law. I saw very few indications that Justice Kennedy would find that the mandate is not severable. Therefore, currently I believe that the court will allow the rest of the legislation to remain. I don't believe that the court will pick out particular provisions to fall along with the mandate, but will allow a legislative remedy to the problem of the mandate being removed. As Justice Kennedy said, the court would be reluctant to take on this "awesome exercise of judicial power," at the expense of congressional discretion. However, there is still a final debate on the Medicaid expansion provisions, which arguments are scheduled for the afternoon. Despite the fact that the Supreme Court does not allow cameras in the courtroom, I am very impressed at how quickly they are making the audio and transcripts available. The audio of Wednesday morning's arguments, as made available by the court, follows. A transcript of Wednesday morning's arguments, as made available by the court, follows. CHIEF JUSTICE ROBERTS: We will continue argument this morning in Case Number 11-393, National Federation of Independent Business v. Sebelius and case 11-400, Florida v. The Department of HHS. If the individual mandate is unconstitutional, then the rest of the Act cannot stand. As Congress found and the Federal Government concedes, the community rating and guaranteed-issue provisions of the Act cannot stand without the individual mandate. Congress found that the individual mandate was essential to their operation. And not only can guaranteed-issue and community-rating not stand, not operate in the manner that Congress intended, they would actually counteract Congress's basic goal of providing patient protection but also affordable care. JUSTICE SOTOMAYOR: Counsel, that may well be true. The economists are going back and forth on that issue, and the figures vary from up 10 percent to up 30. We are not in the habit of doing the legislative findings. What we do know is that for those States that found prices increasing, that they found various solutions to that. In one instance, and we might or may not say that it's unconstitutional, Massachusetts passed the mandatory coverage provision. But others adjusted some of the other provisions. Why shouldn't we let Congress do that, if in fact, the economists prove, some of the economists prove right, that prices will spiral? What's wrong with leaving it to — in the hands of the people who should be fixing this, not us? 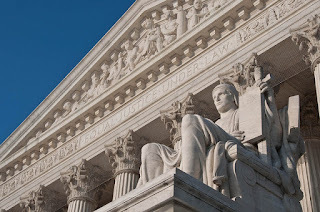 MR. CLEMENT: Well, a couple of questions -­a couple of responses, Justice Sotomayor. First of all, I think that it's very relevant here that Congress had before it as examples some of the States that had tried to impose guaranteed-issue and community rating and did not impose an individual mandate. And Congress rejected that model. So your question is quite right in the saying that it's not impossible to have guaranteed-issue and community-rating without an individual mandate. But it's a model that Congress looked at and specifically rejected. And then, of course, there is Congress's own finding, and their finding, of course, this is (i), which is 43(a)of the government's brief in the appendix, Congress specifically found that having the individual mandate is essential to the operation of guaranteed-issue and community-rating. JUSTICE SOTOMAYOR: That's all it said it's essential to. I mean, I'm looking at it. The exchanges, the State exchanges are information-gathering facilities that tell insurers what the various policies actually mean. And that has proven to be a cost saver in many of the States who have tried it. So why should we be striking down a cost saver when if what your argument is, was, that Congress was concerned about costs rising? Why should we assume they wouldn't have passed that information? JUSTICE SOTOMAYOR: I want a bottom line is why don't we let Congress fix it? JUSTICE SOTOMAYOR: We are not taking — If we strike down one provision, we are not taking that power away from Congress. Congress could look at it without the mandatory coverage provision and say, this model doesn't work; let's start from the beginning. Or it could choose to fix what it has. We are not declaring — one portion doesn't force Congress into any path. JUSTICE SCALIA: Well, there is such a thing as legislative inertia, isn't there? MR. CLEMENT: That's exactly what I was going to say, Justice Scalia, which is, I think the question for this Court is, we all recognize there is legislative inertia. And then the question is: What is the best result in light of that reality? JUSTICE SOTOMAYOR: Are you suggesting that we should take on more power to the Court? JUSTICE SOTOMAYOR: Because Congress would choose to take one path rather than another. That's sort of taking onto the Court more power than one I think would want. JUSTICE SCALIA: Mr. Clement, I want to ask you about that. Why — why do we look to the — are you sure we look to the intent of the Congress? I thought that, you know, sometimes Congress says that these provisions will — all the provisions of this Act will be severable. And we ignore that when the Act really won't work. When the remaining provisions just won't work. Now how can you square that reality with the proposition that what we're looking for here is what would this Congress have wanted? MR. CLEMENT: Well, two responses, Justice Scalia. We can look at this Court's cases on severability, and they all formulate the task a little bit differently. JUSTICE SCALIA: Yes, they sure do. JUSTICE SCALIA: That's true, but is it right? MR. CLEMENT: It is right. And here is how I would answer your question, which is, when Congress includes a severability clause, it is addressing the issue in the abstract. It doesn't say: No matter which provisions you strike down, we absolutely, positively want what's left. JUSTICE SCALIA: All right. The consequence of your proposition, would Congress have enacted it without this provision, okay that's the consequence. That would mean that if we struck down nothing in this legislation but the — what you call the corn husker kickback, okay, we find that to violate the constitutional proscription of venality, okay? JUSTICE SCALIA: When we strike that down, it's clear that Congress would not have passed it without that. It was the means of getting the last necessary vote in the Senate. And you are telling us that the whole statute would fall because the corn husker kickback is bad. That can't be right. MR. CLEMENT: Well, Justice Scalia, I think it can be, which is the basic proposition, that it's congressional intent that governs. Now everybody on this Court has a slightly different way of dividing legislative intent. And I would suggest the one common brand among every member of this Court as I understand it is you start with the text. Everybody can agree with that. JUSTICE KAGAN: So Mr. Clement, let's start with the text. Then you suggest, and I think that there is — this is right, that there is a textual basis for saying that the guaranteed-issue and the community ratings provisions are tied to the mandate. And you said — you pointed to where that was in the findings. Is there a textual basis for anything else, because I've been unable to find one. It seems to me that if you look at the text, the sharp dividing line is between guaranteed-issue and community ratings on the one hand, everything else on the other. MR. CLEMENT: Well, Justice Kagan I would be delighted to take you through my view of the text and why there are other things that have to fall. The first place I would ask you to look is finding J which is on the same page 43 A. And as I read that, that's a finding that the individual mandate is essential to the operation of the exchanges. But there are other links between guaranteed-issue and community ratings and the exchanges. And there I think it's just the way that the exchanges are supposed to work. And the text makes this clear is they are supposed to provide a market where people can compare community rated insurance. That's what makes the exchanges function. JUSTICE KAGAN: Although the exchanges function perfectly well in Utah where there is no mandate. They function differently, but they function. And the question is always, does Congress want half a loaf. Is half a loaf better than no loaf? And on something like the exchanges it seems to me a perfect example where half a loaf is better than no loaf. The exchanges will do something. They won't do everything that Congress envisioned. MR. CLEMENT: Well, Justice Kagan, I think there are situations where half a loaf is actually worse and I want to address that. But before I do it -­broadly. But before I do that, if I could stick with just the exchanges. I do think the question that this Court is supposed to ask is not just whether they can limp along and they can operate independently, but whether they operate in the manner that Congress intended. And that's where I think the exchanges really fall down. Because the vision of the exchanges was that if you got out of this current situation where health insurance is basically individualized price based on individualized underwriting and you provide community ratings, then it's going to be very easy for people to say okay, well this is a silver policy and this is a bronze policy and this is a gold policy and we can, you know, I can just pick which insurer provides what I think is going to be the best service based on those comparable provisions. JUSTICE KAGAN: Mr. Clement, you just said something which you say a lot in your brief. You say the question is the manner in which it would have operated. And I think that that's not consistent with our cases. And I guess the best example would be Booker where we decided not to sever provisions, notwithstanding that the sentencing guidelines clearly operate in a different manner now than they did when Congress passed them. They operate as advisory rather than mandatory. MR. CLEMENT: Well, but Justice Kagan, I mean I actually think Booker supports our point as well, because there are two aspects of the remedial holding of Booker. And the first part of it, which I think actually very much supports our point is where the majority rejects the approach of the dissent, which actually would have required nothing in the statute to have been struck, not a single word. But nonetheless this Court said, well, if you do that then all of the sentencing is basically going to be done by a combination of the juries and the prosecutors and the judges are going to be cut out. And the Court said the one thing we know is that's not the manner in which Congress thought that this should operate. JUSTICE GINSBURG: Mr. Clement, there are so many things in this Act that are unquestionably okay. think you would concede that reauthorizing what is the Indian Healthcare Improvement Act changes to long benefits, why make Congress redo those? I mean it's a question of whether we say everything you do is no good, now start from scratch, or to say, yes, there are many things in here that have nothing to do frankly with the affordable healthcare and there are some that we think it's better to let Congress to decide whether it wants them in or out. So why should we say it's a choice between a wrecking operation, which is what you are requesting, or a salvage job. And the more conservative approach would be salvage rather than throwing out everything. MR. CLEMENT: Well, Justice Ginsburg, two kinds of responses to that. One, I do think there are some provisions that I would identify as being at the periphery of this statute. And I'll admit that the case for severing those is perhaps the strongest. But I do think it is fundamentally different, because if we were here arguing that some provision on the periphery of the statute, like the Biosimilars Act or some of the provisions that you've mentioned was unconstitutional, I think you'd strike it down and you wouldn't even think hard about severability. What makes this different is that the provisions that have constitutional difficulties or are tied at the hip to those provisions that have the constitutional difficulty are the very heart of this Act. And then if you look at how they are textually interconnected to the exchanges, which are then connected to the tax credits, which are also connected to the employer mandates, which is also connected to some of the revenue offsets, which is also connected to Medicaid, if you follow that through what you end up with at the end of that process is just sort of a hollow shell. And at that point I think there is a strong argument for not — I mean, you can't possibly think that Congress would have passed that hollow shell without the heart of the Act. CHIEF JUSTICE ROBERTS: Well, but it would have — it would have passed parts of the hollow shell. I mean, a lot of this is reauthorization of appropriations that have been reauthorized for the previous 5 or 10 years and it was just more convenient for Congress to throw it in in the middle of the 2700 pages than to do it separately. I mean, can you really suggest — I mean, they've cited the Black Lung Benefits Act and those have nothing to do with any of the things we are talking about. MR. CLEMENT: Well, Mr. Chief Justice, they tried to make them germane. But I'm not here to tell you that — some of their — surely there are provisions that are just looking for the next legislative vehicle that is going to make it across the finish line and somebody's going to attach it to anything that is moving. I mean, I'll admit that. But the question is when everything else from the center of the Act is interconnected and has to go, if you follow me that far, then the question is would you keep this hollowed-out shell? JUSTICE KENNEDY: But I'm still not sure, what is the test — and this was the colloquy you had with Justice Scalia with the corn husker hypothetical. So I need to know what standard you are asking me to apply. Is it whether as a rational matter separate parts could still function, or does it focus on the intent of the Congress? If you — suppose you had party A wants proposal number 1, party B wants proposal number 2. Completely unrelated. One is airline rates, the other is milk regulation. And we — and they decide them together. The procedural rules are these have to be voted on as one. They are both passed. Then one is declared unconstitutional. The other can operate completely independently. Now, we know that Congress would not have intended to pass one without the other. Is that the end of it, or is there some different test? Because we don't want to go into legislative history, that's intrusive, so we ask whether or not an objective — as an objective rational matter one could function without — I still don't know what the test is that we are supposed to apply. And this is the same question as Justice Scalia asked. Could you give me some help on that? MR. CLEMENT: Sure. Justice Kennedy, the reality is I think this Court's opinions have at various times applied both strains of the analysis. JUSTICE KENNEDY: And which one — and what test do you suggest that we follow if we want to clarify our jurisprudence? MR. CLEMENT: I'm — I'm a big believer in objective tests, Justice Kennedy. I would be perfectly happy with you to apply a more textually based objective approach. I think there are certain justices that are more inclined to take more of a peek at legislative history, and I think if you look at the legislative history of this it would only fortify the conclusion that you would reach from a very objective textual inquiry. But I am happy to focus the Court on the objective textual inquiry. JUSTICE KENNEDY: And that objective test is what? MR. CLEMENT: Is whether the statute can operate in the manner that Congress — that Congress intended. JUSTICE SOTOMAYOR: No statute can do that, because once we chop off a piece of it, by definition, it's not the statute Congress passed. So it has to be something more than that. JUSTICE SOTOMAYOR: So what is wrong with the presumption that our law says, which is we presume that Congress would want to sever? Wouldn't that be the simplest, most objective test? Going past what Justice Scalia says we have done, okay, get rid of legislative intent altogether, which some of our colleagues in other contexts have promoted, and just say: Unless Congress tells us directly, it's not severable, we shouldn't sever. We should let them fix their problems. You still haven't asked — answered me why in a democracy structured like ours, where each branch does different things, why we should involve the Court in making the legislative judgment? JUSTICE SOTOMAYOR: But some would call that judicial action. JUSTICE SOTOMAYOR: And what's wrong with that? MR. CLEMENT: Well, one thing that's wrong with that, which is still at a smaller level, is that's inconsistent with virtually every statement in every one of your severability opinions, which all talk about congressional intent. JUSTICE KAGAN: Well, it's not inconsistent with our practice, right, Mr. Clement? I mean, you have to go back decades and decades and decades, and I'm not sure even then you could find a piece of legislation that we refused to sever for this reason. MR. CLEMENT: I don't think that's right, Justice Kagan. I think there are more recent examples. A great example I think which sort of proves, and maybe is a segue to get to my broader point, is a case that involves a State statute, not a Federal statute, but I don't think anything turns on that, is Randall against Sorrell, where this Court struck down various provisions of the Vermont campaign finance law. But there were other contribution provisions that were not touched by the theory that the Court used to strike down the contribution limits. But this Court at the end of the opinion said: There is no way to think that the Vermont legislator would have wanted these handful of provisions there on the contribution side, so we will strike down the whole thing. And if I could make the broader point, I mean, I think the reason it makes sense in the democracy with separation of powers to in some cases sever the whole thing is because sometimes a half a loaf is worse. And a great example, if I dare say so, is Buckley. In Buckley this Court looked at a statute that tried to, in a coherent way, strike down limits on contributions and closely related expenditures. This Court struck down the ban on expenditures, left the contribution ban in place, and for 4 decades Congress has tried to fix what's left of the statute, largely unsuccessfully, whereas it would have I think worked much better from a democratic and separation of powers standpoint if the Court would have said: Look, expenditures are — you can't limit expenditures under the Constitution; the contribution provision is joined at the hip. Give Congress a chance to actually fix the problem. JUSTICE BREYER: Could I ask you one question, which is a practical question. I take as a given your answer to Justice Kennedy, you are saying let's look at it objectively and say what Congress has intended, okay? This is the mandate in the community, this is Titles I and II, the mandate, the community, pre-existing condition, okay? Here's the rest of it, you know, and when I look through the rest of it, I have all kinds of stuff in there. And I haven't read every word of that, I promise. As you pointed out, there is biosimilarity, there is breast feeding, there is promoting nurses and doctors to serve underserved areas, there is the CLASS Act, etcetera. What do you suggest we do? I mean, should we appoint a special master with an instruction? Should we go back to the district court? You haven't argued most of these. As I hear you now, you're pretty close to the SG. I mean, you'd like it all struck down, but we are supposed to apply the objective test. I don't know if you differ very much. So what do you propose that we do other than spend a year reading all this and have you argument all this? So that's — do you know what you have there? A total off-the-cuff impression. So that's why I am asking you, what should I do? MR. CLEMENT: What you should do, is let me say the following, which is follow me this far, which is mandatory, individual mandate is tied, as the government suggests, to guaranteed-issue and community rating, but the individual mandate, guaranteed-issue, and community rating together are the heart of this Act. They are what make the exchanges work. The exchanges in turn are critical to the tax credits, because the amount of the tax credit is key to the amount of the policy price on the exchange. The exchanges are also key to the employer mandate, because the employer mandate becomes imposed on an employer if one of the employees gets insurance on the exchanges. But it doesn't stop there. Look at the Medicare provision for DISH hospitals, okay? These are hospitals that serve a disproportionate share of the needy. This isn't in Title I. It's in the other part that you had in your other hand. But it doesn't work without the mandate, community rating and guaranteed-issue. JUSTICE ALITO: Well, can I ask you this, Mr. Clement? would suggest, Justice Alito — I don't want to be unresponsive — is that you sort of follow the argument through and figure out what in the core of the Act falls. And then I guess my fallback would be if what's left is a hollowed-out shell, you could just leave that standing. MR. CLEMENT: — the bigger volume — on the other hand — I mean, you could strike one and leave the other, but at a certain point — I'm sorry, Mr. Chief Justice. CHIEF JUSTICE ROBERTS: Finish your certain point. MR. CLEMENT: — and that's our whole point. CHIEF JUSTICE ROBERTS: — the — the reality of the passage — I mean, this was a piece of legislation which, there was — had to be a concerted effort to gather enough votes so that it could be passed. And I suspect with a lot of these miscellaneous provisions that Justice Breyer was talking about, that was the price of the vote. Put in the Indian health care provision and I will vote for the other 2700 pages. Put in the black lung provision, and I'll go along with it. That's why all — many of these provisions I think were put in, not because they were unobjectionable. So presumably what Congress would have done is they wouldn't have been able to put together, cobble together, the votes to get it through. MR. CLEMENT: Well, maybe that's right, Mr. Chief Justice. And I don't want to, I mean, spend all my time on — fighting over the periphery, because I do think there are some provisions that I think you would make as — as an exercise of your own judgment, the judgment that once you've gotten rid of the core provisions of this Act, that you would then decide to let the periphery fall with it. But if you want to keep the periphery, that's fine. What I think is important, though, as to the core provisions of the Act, which aren't just the mandate community rating and guaranteed-issue, but include the exchanges, the tax credit, Medicare and Medicaid — as to all of that, I think you do want to strike it all down to avoid a redux of Buckley. There should be no occasion for the Court in this case to consider issues of severability, because as we argue, the — the minimum coverage provision is fully consistent with Article I of the Constitution. But if the Court were to conclude otherwise, it should reject Petitioners' sweeping proposition that the entire Act must fall if this one provision is held unconstitutional. CHIEF JUSTICE ROBERTS: How does your proposal actually work? Your idea is that, well, they can take care of it themselves later. I mean, do you contemplate them bringing litigation and saying — I guess the insurers would be the most obvious ones -­without — without the mandate, the whole thing falls apart and we're going to bear a greater cost, and so the rest of the law should be struck down. And that's a whole other line of litigation? CHIEF JUSTICE ROBERTS: But what cause of action is it? I've never heard of a severability cause of action. MR. KNEEDLER: Well, in the first place, I don't — the point isn't that there has to be a — an affirmative cause of action to decide this. You could — for example, to use the Medicare reimbursement issue is, one of the things that this Act does is change Medicare reimbursement rates. Well, the place where someone adjudicates the validity of Medicare reimbursement rates is through the special statutory review procedure for that. JUSTICE SCALIA: Mr. Kneedler, there -­there are some provisions which nobody would have standing to challenge. If the provision is simply an expenditure of Federal money, it — it doesn't hurt anybody except the taxpayer, but the taxpayer doesn't have standing. That — that just continues. Even though it — it is — it should — it is so closely aligned to what's been struck down that it ought to go as well. But nonetheless, that has to continue because there's nobody in the world that can challenge it. Can that possibly be the law? MR. KNEEDLER: I think that proves our point, Justice Scalia. This Court has repeatedly said that just because there's — no one may have standing to challenge — and particularly like tax credits or taxes which are challenged only after going through the Anti-Injunction Act — just because no one has standing doesn't mean that someone must. JUSTICE SCALIA: But — but those are provisions that have been legitimately enacted. The whole issue here is whether these related provisions have been legitimately enacted, or whether they are so closely allied to one that has been held to be unconstitutional that they also have not been legitimately enacted. You — you can't compare that to — to cases dealing with a — a statute that nobody denies is — is constitutional. JUSTICE BREYER: What he's thinking of is this: I think Justice Scalia is thinking, I suspect, of — imagine a tax which says, this tax, amount Y, goes to purpose X, which will pay for half of purpose X. The other half will come from the exchanges somehow. That second half is unconstitutional. Purpose X can't possibly be carried out now with only half the money. Does the government just sit there collecting half the money forever because nobody can ever challenge it? You see, there — if it were inextricably connected, is it enough to say, well, we won't consider that because maybe somebody else could bring that case and then there is no one else? MR. KNEEDLER: Yes, we think that is the proper way to proceed. JUSTICE GINSBURG: It's not a choice between someone else bringing the case and a law staying in place. And what we're really talking about, as Justice Sotomayor started this discussion, is who is the proper party to take out what isn't infected by the Court's holding — with all these provisions where there may be no standing, one institution clearly does have standing, and that's Congress. And if Congress doesn't want the provisions that are not infected to stand, Congress can take care of it. It's a question of which — which side -­should the Court say, we're going to wreck the whole thing, or should the Court leave it to Congress? MR. KNEEDLER: We think the Court should leave it to Congress for two reasons. One is the point I'm making now about justiciability, or whether the Court can properly consider it at all. And the second is, we think only a few provisions are inseverable from the minimum coverage provision. CHIEF JUSTICE ROBERTS: Before you go, Mr. Kneedler, I'd like your answer to Justice Breyer's question. JUSTICE ALITO: Suppose that there was -­suppose there was a non-severability provision in — in this Act. If one provision were to be held unconstitutional, then every single — someone would have to bring a — a separate lawsuit challenging every single other provision in the Act and say, well, one fell and the Congress said it's all — it's a package, it can't be separated. such a clause might make it easy doesn't change the point. Article III jurisdictional problems apply to easy questions as well as — as hard questions. JUSTICE KENNEDY: But there's no Article III jurisdictional problem in Justice Alito's hypothetical, that this is a remedial exercise of the Court's power to explain the consequences of its judgment in this case. MR. KNEEDLER: But — this Court had said that one has — has to have standing for every degree of relief that — that is sought. That was in Davis, that was Los Angeles v. Lyons. JUSTICE SCALIA: — don't you think it's unrealistic to say leave it to Congress, as though you are sending it back to Congress for Congress to consider it dispassionately on balance, should we have this provision or should we not have provision? That's not what it's going to be. It's going to be, these provisions are in effect; even though you — a lot of you never wanted them to be in effect, and you only voted for them because you wanted to get the heart of the — the Act, which has now been cut out; but nonetheless these provisions are the law, and you have to get the votes to overturn them. That's an enormously different question from whether you get the votes initially to put them into the law. What — there, there is no way that this Court's decision is not going to distort the congressional process. Whether we strike it all down or leave some of it in place, the congressional process will never be the same. One way or another, Congress is going to have to reconsider this, and why isn't it better to have them reconsider it — what — what should I say — in toto, rather than having some things already in the law which you have to eliminate before you can move on to consider everything on balance? CHIEF JUSTICE ROBERTS: Justice Kennedy? JUSTICE KENNEDY: When you say judicial restraint, you are echoing the earlier premise that it increases the judicial power if the judiciary strikes down other provisions of the Act. I suggest to you it might be quite the opposite. We would be exercising the judicial power if one Act was — one provision was stricken and the others remained to impose a risk on insurance companies that Congress had never intended. By reason of this Court, we would have a new regime that Congress did not provide for, did not consider. That, it seems to me can be argued at least to be a more extreme exercise of judicial power than to strike -­than striking the whole. JUSTICE KENNEDY: I just don't accept the premise. MR. KNEEDLER: I think not, Justice Kennedy and then I — I will move on. But this is exactly the situation in Printz. The Court identified the severability questions that were — that were briefed before the Court as important ones, but said that they affect people who are — rights and obligations of people who are not before the Court. JUSTICE SOTOMAYOR: Mr. Kneedler, move away from the issue of whether it's a standing question or not. JUSTICE SOTOMAYOR: Make the assumption that's an — that this is an issue of the Court's exercise of discretion. Because the last two questions had to do with what's wise for the Court to do, not whether it has power to do it or not. JUSTICE SOTOMAYOR: So let's move beyond the power issue, which your answers have centered on, and give me a sort of — policy. And I know that's a, that's a bugaboo word sometimes, but what should guide the Court's discretion? JUSTICE SOTOMAYOR: Would you please — I've asked you three times to move around that. JUSTICE SCALIA: And do you really expect the Court to do that? Or do you expect us to — to give this function to our law clerks? Is this not totally unrealistic? That we are going to go through this enormous bill item by item and decide each one? JUSTICE SOTOMAYOR: — what we have to look at is what Congress said was essential, correct? JUSTICE KAGAN: — in our severability law, wouldn't it? JUSTICE KAGAN: I mean, we have never suggested that we were going to say, look, this legislation was a brokered compromise and we are going to try to figure out exactly what would have happened in the complex parliamentary shenanigans that go on across the street and figure out whether they would have made a difference. Instead, we look at the text that's actually given us. For some people, we look only at the text. It should be easy for Justice Scalia's clerks. JUSTICE SCALIA: I don't care whether it's easy for my clerks. I care whether it's easy for me. MR. KNEEDLER: I think that — I think that's exactly right. As I said, it is a question of statutory interpretation. what's exactly right? It's a question of statutory interpretation; that means you have to go through every line of the statute. I haven't heard your answer to Justice Scalia's question yet. MR. KNEEDLER: Well, I — I think in this case there is an easy answer, and that is, Justice Kagan pointed out that, that the Act itself creates a sharp dividing line between the minimum coverage provision -­the package of — of reforms: The minimum coverage provision along with the guaranteed-issue and community rating. That is one package that Congress deemed essential. CHIEF JUSTICE ROBERTS: Where is the sharp line? MR. KNEEDLER: It is in Congress's findings that the — that the minimum coverage provision -­without it the Court — the — Congress said, in finding I, without that provision people would wait to get insurance, and therefore — and cause all the adverse selection problems that arise. CHIEF JUSTICE ROBERTS: No, no. That -­that makes your case that the one provision should fall if the other does. It doesn't tell us anything about all the other provisions. MR. KNEEDLER: Well, I — I think — I think it does, because Congress said it was essential to those provisions, but it conspicuously did not say that it was essential to other provisions. JUSTICE ALITO: May I ask you about the argument that is made in the economists' amicus brief? They say that the insurance reforms impose 10-year costs of roughly $700 billion on the insurance industry, and that these costs are supposed to be offset by about 350 billion in new revenue from the individual mandate and 350 billion from the Medicaid expansion. Now if the 350 billion — maybe you will disagree with the numbers, that they are fundamentally wrong; but assuming they are in the ballpark, if the 350 million from the individual mandate were to be lost, what would happen to the insurance industry, which would now be in the — in the hole for $350 billion over 10 years? MR. KNEEDLER: I don't — I mean, first of all, for the Court to go beyond text and legislative history to try to figure out how the finances of the bill operate, it — it's like being a budget committee. But — but we think the, the economists had added up the figures wrong. If there is Medicaid expansion, the insurance — and the insurance companies are involved in that, they are going to be reimbursed. CHIEF JUSTICE ROBERTS: But what if there isn't Medicaid expansion? We've talked about the individual mandate, but does the government have a position on what should happen if the Medicaid expansion is struck down? MR. KNEEDLER: We don't — we don't think that that would have any effect. That could be addressed in the next argument. But we don't think that would have any effect on the — on the rest of the — on the rest of the Act. MR. KNEEDLER: Yes. Yes. It's — in the past Congress has expanded Medicaid coverage without there being — it's done it many times without there being a minimum coverage provision. JUSTICE KENNEDY: But I still don't understand where you are with the answer to Justice Alito's question. probability that the 350 billion plus 350 billion equals 7 is going to be cut in half if the individual mandate is — is stricken. Assume there is a significant possibility of that. Is it within the proper exercise of this Court's function to impose that kind of risk? Can we say that the Congress would have intended that there be that kind of risk? JUSTICE KENNEDY: But isn't that — isn't that the point then, why we should just assume that it is not severable? JUSTICE KENNEDY: If we — if we lack the competence to even assess whether there is a risk, then isn't this an awesome exercise of judicial power? JUSTICE KENNEDY: To say we are doing something and we are not telling you what the consequences might be? JUSTICE SCALIA: Mr. Kneedler, can I — can you give us a prior case in — that — that resembles this one in which we — we are asked to strike down what the other side says is the heart of the Act and yet leave in — as — as you request, leave, in effect, the rest of it? Have we ever — most of our severability cases, you know, involve one little aspect of the Act. The question is whether the rest. When have we ever really struck down what was the main purpose of the Act, and left the rest in effect? MR. KNEEDLER: I think Booker is the best example of that. In — in Booker the mandatory sentencing provisions were central to the act, but the Court said Congress would have preferred a statute without the mandatory provision in the Act, and the Court struck that but the rest of the sentencing guidelines remained. JUSTICE SCALIA: I think the reason — the reason the majority said that was they didn't think that what was essential to the Act was what had been stricken down, and that is the — the ability of the judge to say on his own what — what — what the punishment would be. I don't think that's a case where we struck — where we excised the heart of the statute. MR. KNEEDLER: — to our — to our — that we have found that suggests the contrary. JUSTICE SCALIA: This is really a case of first impression. I don't know another case where we have been confronted with this — with this decision. Can you take out the heart of the Act and leave everything else in place? MR. KNEEDLER: I would like to go to the heart of the Act point in a moment. But what I'd like to say is this is a huge Act with many provisions that are completely unrelated to market reforms and operate in different ways. And we think it would be extraordinary in this extraordinary Act to strike all of that down because there are many provisions and it would be too hard to do it. JUSTICE BREYER: I don't think it's not uncommon that Congress passes an act, and then there are many titles, and some of the titles have nothing to do with the other titles. That's a common thing. And you're saying you've never found an instance where they are all struck out when they have nothing to do with each other. JUSTICE BREYER: — I mean on — on a list of things that are in both your opinions peripheral, then you would focus on those areas where one of you thinks it's peripheral and one of you thinks it's not peripheral. And at that point it might turn out to be far fewer than we are currently imagining. At which point we could hold an argument or figure out some way or somebody hold an argument and try to — try to get those done. JUSTICE SCALIA: You can have a conference committee report afterwards, maybe. JUSTICE SOTOMAYOR: Could you get back to the argument of — of the heart? MR. KNEEDLER: Right. And — and — and I would like to discuss it again in terms of the text and structure of the Act. We have very important indications from the structure of this Act that the whole thing is not supposed to fall. JUSTICE SCALIA: Anticipation of the minimum coverage. That's going to bankrupt the insurance companies if not the States, unless this minimum coverage provision comes into effect. MR. KNEEDLER: There is no reason to think it's going to — it's going to bankrupt anyone. The costs will be set to cover those — to cover those amounts. MR. KNEEDLER: Two and-a-half — 2.5 million people would be thrown off the insurance roles if the Court were to say that. Congress made many changes to Medicare rates that have gone into effect for the Congress — for the courts to have to unwind millions of Medicare reimbursement rates. Medicare has — has covered 32 million insurance — preventive care visits by patients as a result of — of this Act. CHIEF JUSTICE ROBERTS: All of that was based on the assumption that the mandate was — was constitutional. And if — that certainly doesn't stop us from reaching our own determination on that. MR. KNEEDLER: No, what I'm saying is it's a question of legislative intent, and we have a very fundamental indication of legislative intent that Congress did not mean the whole Act to fall if — if -­without the minimum coverage provision, because we have many provisions that are operating now without that. But there's a further indication about why the line should be drawn where I've suggested, which is the package of these particular provisions. All the other provisions of the Act would continue to advance Congress's goal, the test that was articulated in Booker but it's been said in Regan and other cases. You look to whether the other provisions can continue to advance the purposes of the Act. JUSTICE SCALIA: But many people might not — many of the people in Congress might not have voted for those provisions if — if the central part of this statute was not adopted. JUSTICE SCALIA: I mean, you know, you're -­to say that we're effectuating the intent of Congress is just unrealistic. Once you've cut the guts out of it, who knows, who knows which of them were really desired by Congress on their own and which ones weren't. MR. KNEEDLER: The question for the Court is Congress having passed the law by whatever majority there might be in one House or the other, Congress having passed the law, what at that point is — is — is the legislative intent embodied in the law Congress has actually passed? CHIEF JUSTICE ROBERTS: Well, that's right. But the problem is, straight from the title we have two complimentary purposes, patient protection and affordable care. And you can't look at something and say this promotes affordable care, therefore, it's consistent with Congress's intent. Because Congress had a balanced intent. You can't look at another provision and say this promotes patient protection without asking if it's affordable. So, it seems to me what is going to promote Congress's purpose, that's just an inquiry that you can't carry out. MR. KNEEDLER: No, with respect, I disagree, because I think it's evident that Congress's purpose was to expand access to affordable care. It did it in discreet ways. It did it by the penalty on employers that don't — that don't offer suitable care. It did it by offering tax credits to small employers. It did it by offering tax credits to purchasers. All of those are a variety of ways that continue to further Congress's goal, and — and most of all, Medicaid, which is -­which is unrelated to the — to the private insurance market altogether. JUSTICE KENNEDY: I don't quite understand about the employers. You're — you are saying Congress mandated employers to buy something that Congress itself has not contemplated? I don't understand that. JUSTICE KENNEDY: Based on the assumption that the cost of those policies would be lowered by -­by certain provisions which are by hypothesis — we are not sure — by hypothesis are in doubt. MR. KNEEDLER: No, I — I — I think any cost assumptions — there is no indication that Congress made any cost assumptions, but — but there is no reason to think that the individual — that the individual market, which is where the minimum coverage provision is directed, would affect that. If you take out minimum coverage but leave in the guaranteed-issue and community-rating, you will make matters worse. Rates will go up, and people will be less — fewer people covered in the individual market. JUSTICE ALITO: Well, if that is true, what is the difference between guaranteed-issue and community-rating provisions on the one hand and other provisions that increase costs substantially for insurance companies? For example, the tax on high cost health plans, which the economists in the amicus brief said would cost $217 billion over 10 years? MR. KNEEDLER: Those are — what Congress -­Congress did not think of those things as balancing insurance companies. Insurance companies are participants in the market for Medicaid and — and other things. JUSTICE KENNEDY: But you are saying we have — we have the expertise to make the inquiry you want us to make, i.e., the guaranteed-issue, but not the expertise that Justice Alito's question suggests we must make. JUSTICE KENNEDY: I just don't understand your position. JUSTICE GINSBURG: You are relying on Congress's quite explicitly tying these three things together. MR. KNEEDLER: We do. That's — that's -­and it's not just the text of the act, but the background of the act, the experience in the state, the testimony of the National Association of Insurance Commissioners. That's the — that's the problem Congress was addressing. There was a — there was — a shifting of present actuarial risks in that market that Congress wanted to correct. And if you took the minimum coverage provision out and left the other two provisions in, there would be laid on top of the existing shifting of present actuarial risks an additional one because the uninsured would know that they would have guaranteed access to insurance whenever they became sick. It would make the — it would make the adverse selection in that market problem even worse. And so what — and Congress, trying to come up with a market-based solution to control rates in that market, has adopted something that would — that would work to control costs by guaranteed-issue and community-rating; but, if you — if — if you take out the minimum coverage, that won't work. That was Congress's assumption, again, shown by the text and legislative history of this provision. And that's why we think those things rise or fall in a package because they cut against what Congress was trying to do. All of the other provisions would actually increase access to affordable care and would have advantageous effects on price. Again, Congress was invoking its traditional use of the tax code, which has long subsidized insurance through employers, has used that to impose a tax penalty on employers, to give tax credits. This is traditional stuff that Congress has done. And the other thing Congress has done, those preexisting laws had their own protections for guaranteed-issue and community-rating. Effectively, within the large employer plans, they can't discriminate among people, they can't charge different rates. What Congress was doing, was doing that in the other market. If it can't, that's all that should be struck from the act. CHIEF JUSTICE ROBERTS: Thank you, Mr. Kneedler. At the outset, I would just like to say, I think that the government's position in this case that the community-rating and guaranteed-issue provisions ought to be struck down is an example of the best driving out the good; because, even without the minimum coverage provision, those two provisions, guaranteed-issue and community-rating, will still open insurance markets to millions of people that were excluded under the prior system, and for millions of people will lower prices, which were raised high under the old system because of their poor health. So even though the system is not going to work precisely as Congress wanted, it would certainly serve central goals that Congress had of expanding coverage for people who were unable to get coverage or unable to get it at affordable prices. JUSTICE GINSBURG: One of the points that Mr. Kneedler made is that the price won't be affordable because — he spoke of the adverse selection problem, that there would be so fewer people in there, the insurance companies are going to have to raise the premiums. So it's nice that Congress made it possible for more people to be covered, but the reality is they won't because they won't be able to afford the premium. MR. FARR: Well, Justice Ginsburg, let me say two things about that. First of all, when we talk about premiums becoming less affordable, it's very important to keep in mind different groups of people, because it is not something that applies accurately to everybody. For people who were not able to get insurance before, obviously, their insurance beforehand was — the price was essentially infinite. They were not able to get it at any price. They will now be able to get it at a price that they can afford. For people who are unhealthy and were able to get insurance, but perhaps not for the things that they were most concerned about, or only at very high rates, their rates will be lower under the system, even without the minimum coverage provision. JUSTICE SCALIA: Excuse me, why do you say — I didn't follow that. Why? JUSTICE SCALIA: Why would their rates be lower? MR. FARR: Their rates are going to be lower than they were under the prior system because they are going into a pool of people, rather than — some of whom are healthy, rather than having their rates set according to their individual health characteristics. That's why their rates were so high. JUSTICE KAGAN: But the problem, Mr. Farr, isn't it, that they're going to a pool of people that will gradually get older and unhealthier. That's the way the thing works. Once you say that the insurance companies have to cover all of the sick people and all of the old people, the rates climb. More and more young people and healthy people say, why should we participate, we can just get it later when we get sick. So they leave the market, the rates go up further, more people leave the market, and the whole system crashes and burns, becomes unsustainable. JUSTICE KAGAN: — like what I think. What do I know? It's just what's reflected in Congress's findings, that it's look — it looks at some states and says, this system crashed and burned. It looked at another state with the minimum coverage provision and said, this one seems to work. So we will package the minimum coverage provision with the nondiscrimination provisions. MR. FARR: Well, in a moment, I'd like to talk about the finding; but, if I could just postpone that for a second and talk about adverse selection itself. I think one of the misconceptions here, Justice Kagan, is that Congress, having seen the experience of the states in the '90s with community-rating and guaranteed-issue, simply imposed the minimum coverage provision as a possible way of dealing with that; and, if you don't have the minimum coverage provision, then, essentially, adverse selection runs rampant. But that's not what happened. Congress included at least half a dozen other provisions to deal with adverse selection caused by bringing in people who are less healthy into the Act. There are — to begin with, the Act authorizes annual enrollment periods, so people can't just show up at the hospital. If they don't show up and sign up at the right time, they at least have to wait until the time next year. That's authorized by the Act. There — with respect to the subsidies, there are three different things that make this important. First of all, the subsidies are very generous. For people below 200 percent of the federal poverty line, the subsidy will cover 80 percent, on average, of the premium which makes it attractive to them to join. The structure of the subsidies, because their income — they create a floor for — based on the income of the person getting the insurance, and then the government covers everything over that. And this is important in adverse selection because if you do have a change in the mix of people, and average premiums start to rise, the government picks up the increase in the premium. The amount that the person who is getting insured contributes remains constant at a percentage of his or her income. JUSTICE SCALIA: And there is nothing about federal support that is unsustainable, right? That is infinite. MR. FARR: Well, I mean, that's a fair point, Justice Scalia; although, one of the things that happens, if you take the mandate out, while it is true that the subsidies that the government provides to any individual will increase, and they will be less efficient — I'm not disputing that point — actually the overall amount of the subsidies that the government will provide will decline, as the government notes itself in its brief, because there will be fewer people getting them. Some people will opt out of the system even though they are getting subsidies. But I would just like to go back for one more second to the point about how the subsidies are part of what Congress was using, because the other thing is that for people below 250 percent of the Federal poverty line Congress also picks up and subsidizes the out-of-pocket costs, raising the actuarial value. So you have all of that, and then you have Congress also, unlike the States establishing — or I should be precisely accurate — almost all the States, establishing an age differential of up to three to one. So an insurance company, for example, that is selling a 25-year-old a policy for $4,000 can charge a 60-year-old $12,000 for exactly the same coverage. 1. Massachusetts, for example, which did have good subsidies, but their age band was two to one. So when Congress is enacting this Act, it's not simply looking at the States and thinking: Well, that didn't go very well; why don't we put in a minimum coverage provision; that will solve the problem. Congress did a lot of different things to try to combat the adverse selection. Now, if I could turn to the finding, because I think this is the crux of the government's position and then the plaintiffs pick up on that, and then move —move from that to the rest of the Act. And it seems to me, quite honestly, it's an important part because that is textual. In this whole sort of quest for what we are trying to figure out, the finding seems to stand out as something that the Court could rely on and say here's something Congress has actually told us. But I think the real problem with the finding is the context in which Congress made it. It's quite clear. If the Court wants to look, the finding is on page 42 — 43A, excuse me, of the Solicitor General's severability brief in the appendix. But the finding is made specifically in the context of interstate commerce. That is why the findings are in the Act at all. Congress wanted to indicate to the Court, knowing that the minimum coverage provision was going to be challenged, wanted to indicate to the Court the basis on which it believed it had the power under the Commerce Clause to enact this law. Why does that make a difference with respect to finding I, which is the one that the government is relying on, and in particular the last sentence, which says "this requirement is essential to creating effective health insurance markets in which guaranteed-issue and preexisting illnesses can be covered." The reason is because the word "essential" in the Commerce Clause context doesn't have the colloquial meaning. In the Commerce Clause context "essential" effectively means useful. So that when one says in Lopez, when the Court says section 922(q) is not an essential part of a larger regulatory scheme of economic activity, it goes on to say, in which the regulatory scheme would be undercut if we didn't have this provision. MR. FARR: I'm sorry, Justice Scalia? JUSTICE SCALIA: — that definition of "essential"? It's very imaginative. Just give me one dictionary. MR. FARR: Well, but I think my point, Justice Scalia, is that they are not using it in the true dictionary sense. JUSTICE SCALIA: How do we know that? When people speak, I assume they are speaking English. MR. FARR: Well, I think that there are several reasons that I would suggest that we would know that from. The first is, as I say, the findings themselves. Congress says at the very beginning, the head of it, is Congress makes the following findings, and they are talking about the interstate — you know, B is headed "Effects on the national economy and interstate commerce." So we know the context that Congress is talking about. It is more or less quoting from the Court's Commerce Clause statements. But if one looks at the very preceding finding, which is finding H, which is on 42 over onto 43, Congress at that point also uses the word "essential." In the second sentence it says "this requirement" — and again we're talking about the minimum coverage provision — is an essential part of this larger regulation of economic activity, which is, by the way, an exact quote from Lopez, in which "the absence of the requirement undercuts Federal regulation," also an exact quote from Lopez. But what it is referring to is an essential — an essential part of ERISA, the National Health Service Act and the Affordable Care Act. It can't possibly be, even the plaintiffs haven't argued, that those Acts would all fall in their entirety if you took out the minimum coverage provision. And as a second example of the same usage by Congress, the statute that was before the Court in Raich, section 801 of Title 21, the Court said that the regulation of intrastate drug activity, drug traffic, was essential to the regulation of interstate drug activity. Again, it is simply not conceivable that Congress was saying one is so indispensable to the other, the way the United States uses the term here, so indispensable that if we can't regulate the intrastate traffic we don't want to regulate the interstate traffic, either. The whole law criminalizing drug traffic would fall. JUSTICE SOTOMAYOR: Counsel, the problem I have is that you are ignoring the congressional findings and all of the evidence Congress had before it that community ratings and guaranteed-issuance would be a death spiral — I think that was the word that was used — without minimum coverage. Those are all of the materials that are part of the legislative record here. So even if it might not be because of the structure of the Act, that's post hoc evidence. Why should we be looking at that as opposed to what Congress had before it and use "essential" in its plain meaning: You can't have minimum coverage without what the SG is arguing, community ratings and guaranteed-issue. You can't have those two without minimum coverage. MR. FARR: Well, I think that's a fair question. But the idea that — that all the information before Congress only led to the idea that you would have death spirals seems to me to be contradicted a little bit at least by the CBO report in November of 2009, which is about 4 months before the Act passed, where the CBO talks about adverse selection. Now, I want to be clear. This is at a time when the minimum coverage provision was in the statute, so I'm not suggesting that this is a discussion without that in it. But nonetheless, the CBO goes through and talks about adverse selection, and points out the different provisions in the Act, the ones I have mentioned plus one other, actually, where in the first 3 years of the operation of the exchanges those insurance companies that get sort of a worse selection of consumers will be given essentially credits from insurance companies that get better selections. JUSTICE KENNEDY: So do you want us to write an opinion saying we have concluded that there is an insignificant risk of a substantial adverse effect on the insurance companies, that's our economic conclusion, and therefore not severable? That's what you want me to say? MR. FARR: It doesn't sound right the way you say it, Justice Kennedy. JUSTICE SOTOMAYOR: But you don't want them to say, either, that there is a death spiral. Do you want — you don't want us to make either of those two findings, I'm assuming? MR. FARR: That's correct. Now, I agree that there is a risk and the significance of it people can debate. But what I think is —is lost in that question, and I didn't mean to be whimsical about it, I think what is lost in it a little bit is what is on the other side, which is the fact that if you follow the government's suggestion, if the Court follows the government's suggestion, what is going to be lost is something we know is a central part of the Act. I mean, indeed, if one sort of looks at the legislative history more broadly, I think much of it is directed toward the idea that guaranteed- issue and community rating were the crown jewel of the Act. The minimum coverage provision wasn't something that everybody was bragging about, it was something that was meant to be part of this package. agree with that. But the — the point of it was to have guaranteed-issue and minimum coverage — I mean, excuse me — guaranteed-issue and community rating. And that's — under the government's proposal, those would — would disappear. We would go back to the old system. And under what I think is the proper severability analysis, the — the real question the Court is asking, should be asking, is, would Congress rather go back to the old system than to take perhaps the risk that you're talking about, Justice Kennedy. CHIEF JUSTICE ROBERTS: You're — you're referring to the government's second position. Their -­their first, of course, is that we shouldn't address this issue at all. CHIEF JUSTICE ROBERTS: I asked Mr. Kneedler about what procedure or process would be anticipated for people who are affected by the change in — in the law, and change in the economic consequences. Do you have a view on how that could be played out? It does seem to me that if we accept your position, something — there have to — there has to be a broad range of consequences, whether it's additional legislation, additional litigation. Any thoughts on how that's going to play out? MR. FARR: Well, if the Court adopts the position that I'm advocating, Mr. Chief Justice, I think what would happen is that the Court would say that the minimum coverage provision, by hypothesis of course, is unconstitutional, and the fact of that being unconstitutional does not mean the invalidation of any other provision. CHIEF JUSTICE ROBERTS: But if the challenge is what we're questioning today, whether — if you're an insurance company and you don't believe that you can give the coverage in the way Congress mandated it without the individual mandate, what — what type of action do you bring in a court? MR. FARR: You — if the Court follows the course that I'm advocating, you do not bring an action in court, you go to Congress and you seek a change from Congress to say the minimum coverage provision has been struck down by the Court, here is our — here — here's the information that we have to show you what the risks are going to be. Here are the adjustments you need to make. One of the questions earlier pointed out that States have adjusted their systems as they've gone along, as they've seen things work or not work. You know, as I was talking earlier about the — the different ratio for — for ages and insurance. The States have tended to change that, because they've found that having too narrow a band worked against the effectiveness of — of their programs. But they did -­except for in Massachusetts, they didn't enact mandates. So to answer — I think to answer your question directly, Mr. Chief Justice, the position I'm advocating would simply have those — those pleas go to Congress, not in court. Now, if one — just — just to discuss the issue more generally, if that's helpful, I — I think that — that if there were situations where the Court deferred — let's say for discretionary reasons, they just said — the Court said we're — we're not going to take up the question of severability and therefore not resolve it in these other situations, it certainly seems to me that in enforcement actions, for example, if the time comes in — in 2014 and somebody applies to an insurance company for a policy — and the insurance company says, well, we're not going to issue a policy, we don't think your risks are ones that we're willing to cover, that — it seems to me that they could sue the insurance company and the insurance company could raise as a defense that this provision, the guaranteed-issue provision of the statute, is not enforceable because it was inseverable from the decision — from the provision that the Court held unconstitutional in 2012. JUSTICE SCALIA: Mr. Farr, let's — let's consider how — how your approach, severing as little as possible there — thereby increases the deference that we're showing to — to Congress. It seems to me it puts Congress in — in this position: This Act is still in full effect. There is going to be this deficit that used to be made up by the mandatory coverage provision. All that money has to come from somewhere. You can't repeal the rest of the Act because you're not going to get 60 votes in the Senate to repeal the rest. It's not a matter of enacting a new act. You've got to get 60 votes to repeal it. So the rest of the Act is going to be the law. So you're just put to the choice of I guess bankrupting insurance companies and the whole system comes tumbling down, or else enacting a Federal subsidy program to the insurance companies, which is what the insurance companies would like, I'm sure. Do you really think that that is somehow showing deference to Congress and — and respecting the democratic process? It seems to me it's a gross distortion of it. MR. FARR: Well, Your Honor, the — the difficulty is that it seems to me the other possibility is for the Court to make choices, particularly based on what it expects the difficulties of Congress altering the legislation after a Court ruling would be. JUSTICE SCALIA: No, I — that wouldn't be my approach. My approach would say if you take the heart out of the statute, the statute's gone. That enables Congress to — to do what it wants in — in the usual fashion. And it doesn't inject us into the process of saying, "this is good, this is bad, this is good, this is bad." It seems to me it reduces our options the most and increases Congress's the most. MR. FARR: I guess to some extent I have to quarrel with the premise, Justice Scalia, because at least the — the position that I'm advocating today, under which the Court would only take out the minimum coverage provision, I don't think would fit the description that you have given of taking out the heart of the statute. Now, I do think once you take out guaranteed-issue and community rating, you are getting closer to the heart of the statute. And one of the -­one of the difficulties I think with the government's position is that I think it's harder to cabin that, to draw that bright line around it. It's harder than the government thinks it is. I mean, to begin with, even the government seems to acknowledge, I think, that the exchanges are going to be relatively pale relatives of — of the exchanges as they're intended to be, where you're going to have standardized products, everybody can come and make comparisons based on products that look more or less the same. But the other thing that's going to happen is with the subsidy program. The — the way that the subsidy program is — is set up, the subsidy is calculated according to essentially a benchmark plan. And this — if the Court wants to look at the provisions, they're — they begin at page 64A of the Private Plaintiffs' brief — again, in the appendix. The particular provision I'm talking about's at 68A, but there's a — there's a question — you — you're looking essentially to calculate the premium by looking at a -­at a standardized silver plan. First question, obviously, is, is there going to be any such plan if you don't have guaranteed-issue and community rating, if the plans can basically be individualized? But the second problem is that, in the provision on 68A, the — the provision that's used for calculating the subsidy, what — what is anticipated in the provision under the — the Act as it is now, is that you do have the floor of the income, you would — you would take this benchmark plan, and the government would pay — pay the difference. And as we talked about earlier, the benchmark plan can change for age, and — and the provision says it can be adjusted only for age. So if in fact you even have such a thing as a benchmark plan anymore — if the rates of people in poor health go up because of individual insurance underwriting, the government subsidy is not going to pay for that. JUSTICE KAGAN: Mr. Farr, I understood that the answer that you gave to Justice Scalia was essentially that the minimum coverage provision was not the heart of the Act. Instead, the minimum coverage provision was a tool to make the nondiscrimination provisions, community rating guaranteed-issue, work. So if you assume that, that all the minimum coverage is is a tool to make those provisions work, then I guess I would refocus Justice Scalia's question and say, if we know that something is just a tool to make other provisions work, shouldn't that be the case in which those other provisions are severed along with the tool? MR. FARR: No. I don't think so, because there are — there are many other tools to make the same things work. That's I think the point. And if one — the case that comes to mind is New York v. the United States, where the Court struck down the take title provision but left other — two other incentives essentially in place. Even without the minimum coverage provision, there will be a lot of other incentives still to bring younger people into the market and to keep them in the market. And if — if my reading of the finding is correct, and that's all that Congress is saying, that this would be useful, it doesn't mean that it's impossible. JUSTICE BREYER: But would you — I would just like to hear before you leave your argument, if you want to, against what Justice Scalia just said, let's assume, contrary to what you want, that the government's position is accepted by the majority of this Court. And so we now are rid, quote, of the true "heart" of the bill. Now still there are a lot of other provisions here like the Indian Act, the Black Lung Disease, the Wellness Program, that restaurants have to have a calorie count of major menus, et cetera. Now, some of them cost money. And some of them don't. And there are loads of them. Now, what is your argument that just because the heart of the bill is gone, that has nothing to do with the validity of these other provisions, both those that cost money, or at least those that cost no money. Do you want to make an argument in that respect, that destroying the heart of the bill does not blow up the entire bill; it blows up the heart of the bill. I just would like to hear what you have to say about that. JUSTICE SCALIA: You only have two choices, Congress. You have the whole bill or you can have, you can have parts of the bill or no bill at all. Why that false choice? JUSTICE BREYER: I would say stay out of politics. That's for Congress; not us. But the, the question here is, you've read all these cases, or dozens, have you ever found a severability case where the Court ever said: Well, the heart of the thing is gone; and, therefore, we strike down these other provisions that have nothing to do with it which could stand on their feet independently and can be funded separately or don't require money at all. MR. FARR: I think the accurate answer would be, I am not aware of a modern case that says that. think there probably are cases in the '20s and '30s that would be more like that. If I could just take one second to raise the economist brief because Justice Alito raised it earlier. I just want to make one simple point. Leaving aside the whole balancing thing, if one looks at the economist brief, it's very important to note that when they are talking about one side of the balance — if may I finish. MR. FARR: When they are talking about the balance, they are not just talking about the minimum coverage provision. They very carefully word it to say the minimum coverage provision and the subsidy programs. And then so when you are doing the mathematical balancing, the subsidy programs are extremely large. They — in the year 2020, they are expected to be over $100 billion in that one year alone. So if you are looking at the numbers, please consider that. Thank you. JUSTICE SOTOMAYOR: — Amicis' point, he says that Congress didn't go into this Act to impose minimum coverage. They went into the Act to have a different purpose, i.e., to get people coverage jury when they needed it, to increase coverage for people, but this is only a tool. But other States — going back to my original point, that are other tools besides minimum coverage that Congress can achieve these goals. So if we strike just a tool, why should we strike the whole Act, when Congress has other tools available? MR. CLEMENT: Mr. Chief Justice, I will make four points in rebuttal, but I will start with Justice Sotomayor's question; which is to simply say this isn't just a tool; it's the principal tool, Congress identified it as an essential tool. It's not just a tool to make it work. It's a tool to pay for it, to make it affordable. And again, that's not my characterization; that's Congress's characterization in subfinding I on page 43a of the government's brief. Now, that bring me to my first point in rebuttal, which is Mr. Kneedler says quite correctly, tells this Court, don't look at the budgetary implications. The problem with that, though, is once it's common ground, that the individual mandate is in the statute at least in part to make community rating and guaranteed-issue affordable, that really is all you have to identify. That establishes the essential link that it's there to pay for it. You don't have to figure out exactly how much that is and which box — I mean, it clearly is a substantial part of it, because what they were trying to do was take healthy individuals and put them into the risk pool, and this is quoting their finding, which is in order — they put people into the market "which will lower premiums." So that's what their intent was. So you don't have to get to the — the final number. You know that's what was going on here, and that's reason alone to sever it. Now the government — Mr. Kneedler also says there is an easy dividing line between what they want to keep and what they want to dish out. The problem with that is that, you know, you read their brief and you might think oh, there is a guaranteed-issue and a community rating provision subtitle in the bill. There is not. To figure out what they are talking about you have to go to page 6 of their brief, of their opening severability brief, where they tell you what is in and what's out. And the easy dividing line they suggest is actually between 300g(a)(1) and 300g(a)(2), because on community rating they don't — they say that (a)(1) goes, but then they say (a)(2) has to stay, because that's the way that you'll have some sort of, kind of Potemkin community rating for the exchanges. But if you actually look at those provisions, (a)(2) makes all these references to (a)(1). It just doesn't work. Now, in getting back to the — an inquiry that I think this Court actually can approach, is to look at what Congress was trying to do, you need look no further than look than the title of this statute: Patient Protection and Affordable Care. I agree with Mr. Farr that community rating and guaranteed-issue were the crown jewels of this Act. They were what was trying to provide patient protection. And what made it affordable? The individual mandate. If you strike down guaranteed-issue, community rating and the individual mandate, there is nothing left to the heart of the Act. And that takes me to my last point, which is simply this court in Buckley created a halfway house and it took Congress 40 years to try to deal with the situation, when contrary to any time of their intent, they had to try to figure out what are we going to do when we are stuck with this ban on contributions, but we can't get at expenditures because the Court told us we couldn't? And for 40 years they worked in that halfway house. Why make them do that in health care? The choice is to give Congress the task of fixing this statute, the residuum of this statute after some of it is struck down, or giving them the task of simply fixing the problem on a clean slate. I don't think that is a close choice. If the individual mandate is unconstitutional, the rest of the Act should fall. CHIEF JUSTICE ROBERTS: Thank you, Mr. Clement. Mr. Farr, you were invited by this Court to brief and argue in these cases in support of the decision below on severability. You have ably carried out responsibility for which we are grateful.